The Pacific 570GT has arrived that I posted about a few weeks ago. Never titled- 7250 miles. $236k sticker- fyi. If you want a nice 570GT for the summer- Cruise PCH to Monterey? That's what I want to do at least. That is one of the former press cars, no? There's a reason why Mclaren's tank in value. The repair bill on these things are insane. Mclaren really needs to address this on a strategic/policy level, top down from England. They need to make parts much more readily available at a cheaper cost. They need to let 3rd parties work on their cars. I really love their cars as well as the direction of their car development on a technical level. Everything else though... crazy MSO pricing, cost of ownership, reliability, and most of all trying to monopolize the service side. Mclaren is trying to side step anti monopoly rules and be as monopolistic as possible especially the way they lock out their computers. They will not let 3rd parties touch their cars basically which is nuts. I think the US Government aka Department of Justice should take a closer look at the way Mclaren is doing business. Their strategy is working though. I bit_ch at all this but I had to buy a 650S Spyder because I do love the car and the value of picking it up on the cheap for a low miles used car. I can drive it a few thousand miles and sell it without too much loss (I hope). Negatives seem to be restricted to the sound, not a surprise and as much as I hate to say it probably easily fixed with an aftermarket exhaust and the brakes don’t have that initial bite or feel. 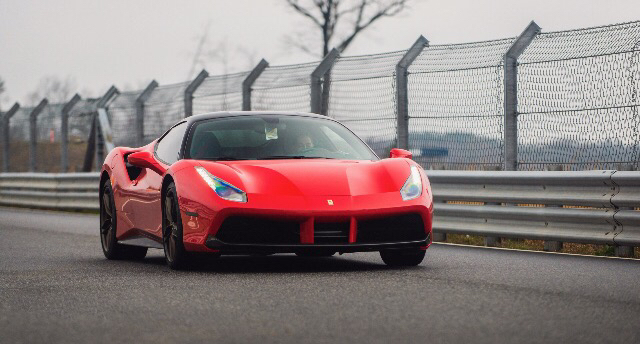 To quote "the 720s could give the 488 a head start of almost 3 seconds allowing the 488 to hit 60mph before the 720s had even moved - and still beat the Italian to 170mph"
Stats at the end of the day only tell part of the story, but the rest of the article states that the 720s is the real deal, happy days. The superiority of 675LT vs 488 was very evident to me on a track day we did with both (as well as a p1 and an R) again recently... I can only imagine how mclaren has moved the game on again with the 720s. The fact that the 720s beats the p1 on a Shorter track is also not a surprise, as the P1's extra power and downforce only seemed to come into play on big fast tracks vs the 675LT.. on a tight track that extra battery weight really affected the p1 with some pendulum effect. The 675LT felt almost as fast in most areas except on bigger straights, and was the group's favorite anytime it was left alone in the pits for even a second. 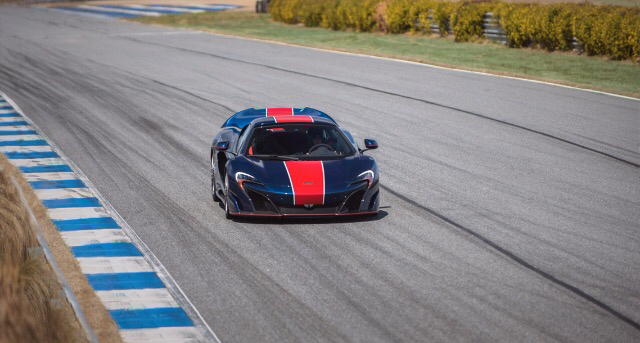 P1 is wow-factor for sure, but 675LT is a precise track weapon. If they add downforce and power to the already amazing 675LT platform with the 720s.. I have to imagine it's truly unbeatable, and I mean this on a global scale.. including the other heavy hypercars like LaF & 918 etc. the extra 2-300hp those machines offer (not to mention complexity and cost) over a 720s is just not worth the massive weight increase. The superiority of 675LT vs 488 was very evident to me on a track day we did with both recently... I can only imagine how this has moved on with the 720s. The fact that the 720s beats the p1 on a Shorter track is also not a surprise, as it's extra power and downforce only seem to come into play on big fast tracks.. on tight ones that extra battery weight really affects the p1 with some pendulum effect, and the 675LT felt almost as fast in most areas except on bigger straights. If they add downforce and power to the already amazing 675LT platform with the 720s.. I have to imagine it's unbeatable. The 675LT was a big step up from anything Mclaren has done before. I really liked it. What stopped me from getting one was my previous 12C ownership experience (reliability and depreciation). Nonetheless, 675LT is a fantastic car. I drove the 720S and although it was stupid fast, I didn't like it that much. Still preferred the 675LT over the 720S. I guess I will have to wait until the next LT is released. Let's see how Mclaren do with the 720S in terms of reliability. I know all 720S have been postponed by 2 months due to production issue. I've not had a single problem with my LT and I track it all the time and have 4500 miles on it. Depreciation is definitely an issue - this is where McLaren messed up honestly. 1000 LTs is a lot. Especially when you consider they told us they would only do 500 coupes to start. While some are super rich and don't care about the cost of owning an LT past the warranty, some of us aren't super baller rich, so these costs factor in. If everyone dumps the car after 3 years, the depreciation will set in. If, on the other hand, they had made a limited and numbered amount of LTs, then depreciation wouldn't hit so hard, so paying to do the extra maintenance/repairs beyond warranty would be more palatable given an expected higher value. I know it's not Kosher to think of cars as investments. They're not - I drive mine a lot. But no one wants to constantly get raped on a car either. Ferrari and Porsche seem to be less prone to the depreciation issue. That I can agree with you. That's why I have no problem forking out 20 large ones every 4 years on my CGT. I don't know if 1000 cars is considered a lot. I'm pretty sure there are more Speciale out there than 675LT, but you and I both know which car will appreciate down the line. 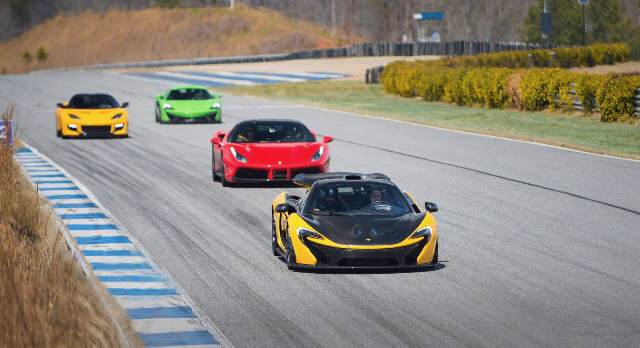 How do 570S and 720S compare? I know that they serve a different purpose and are differently priced but would love to hear a comparison! Yup, "A lot" is very subjective to the specific car you're talking about. 300 Veyrons is proven to be too much. 500 RM56 Sapphire is too much. I would have agreed with you up until a week ago. I've since spent time with an LT and think that values for nicely spec'd cars will stay strong over the long term. Drive a 991 RS, Speciale and LT back to back (I did) and you'll understand why. LT values will hold better than any other mac other than P1..........until the 720LT variant comes out. Cars with great engineering that also represent the last of an era, will hold value like the Speciale and 997.2 RS. The 675LT won't be special once the 720LT comes out, as the 720LT will be a lighter, more powerful turbo, like the 675LT was. 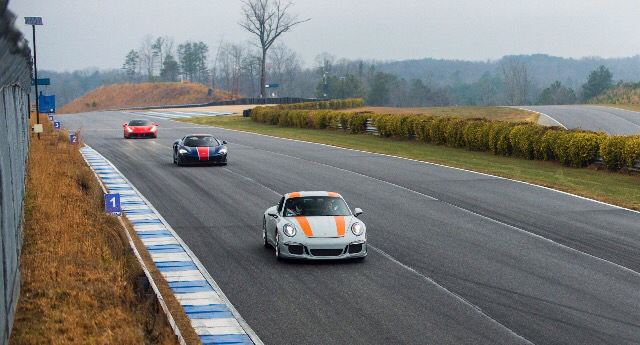 The 991 RS won't hold Value like the 997 RA unless the 992 RS goes turbo. Last edited by Drifting; 05-24-2017 at 07:41 PM. Wait, they are making 500 RM56?! No way! No haha, the latter two is just a hypothetical example. ... Drive a 991 RS, Speciale and LT back to back (I did) and you'll understand why. I would love to get your impressions and how they compare and what it was you liked in the LT compared to the others. Mind if I join in?.. have tracked all three a small amount.. 2/3 on same day, and then again 2/3 on same day. 991RS: amazing front end, telepathic pdk in automatic mode, best noise. Not very comfortable inside compared to other two. Really fun to drive differently than the others.. rear-engines and requires some finesse but most fun to power out of slower turns with. 458 Sp: dances and sings.. really rewards smooth driving, less forgiving than RS, will plow understeer if you're messy.. undertire'd front end. I had a difficult time connecting, also the steering is way too light, makes no sense to me. Transmission not as good as pdk, much more comfortable and roomy.. great sound also, I prefer RS. LT: perfection. Best steering by far. Carbon chassis and magic suspension work like a charm on road and on track. Incredible power and torque, much faster than the other two. The ultimate track weapon, and very comfortable on road also.